Chilla Sailing d.o.o. is part of Conventa Holding Group in Sweden established in 1986 and ITS Independent Transport & Shipping AB (www.indeship.se) active in transport & logistics with four offices in Scandinavia with about 55 employees. Total turnover of approximately yearly EUR 25.000.000.00 The group of companies are actively driven by the owners Jerry Camermo & Martin Sundqvist. Sustainability and quality are two keywords in all of our business and the constant work with CSR Corporate Social Responsibility are a leading star in our group of companies. 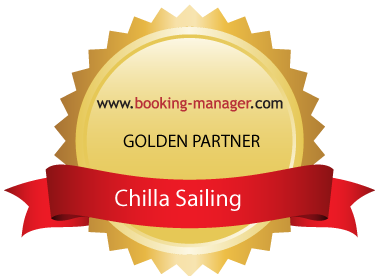 Chilla Sailing has well educated and experienced staff, specialized team ensures that you, the customer shall receive the absolute best service and functional well-maintained boats, feel safe and smoothly realize your dreams of a nice holiday. Route suggestions and other important information will be held by our local and experienced staff. Welcome to our fleet in marina Kremik! More about cookies can be found here.